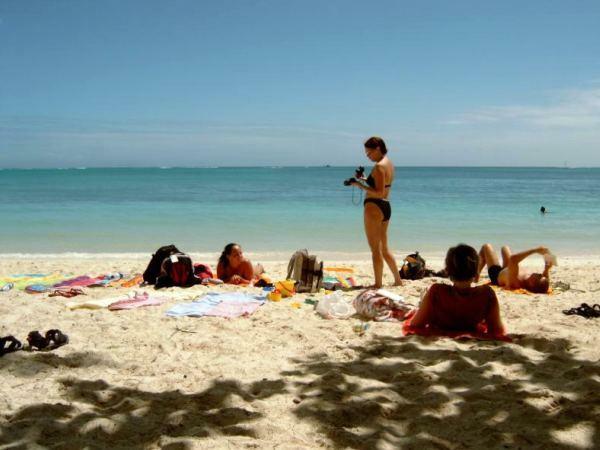 Back along the northern coast of island nation Mauritius is Mont Choisy Beach. 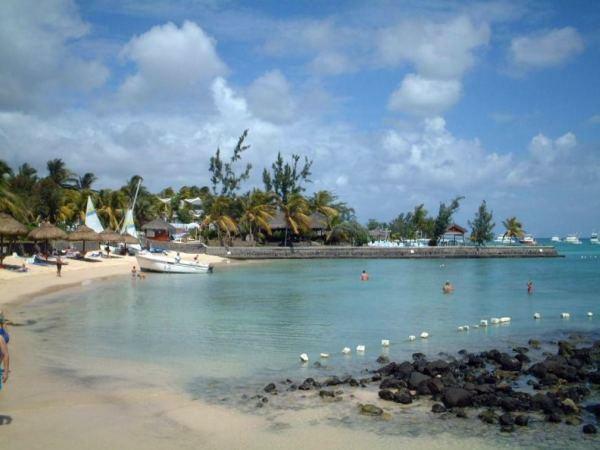 It’s located on the northwest tip, just north of Trou aux Biches and is the longest beach in Mauritius. 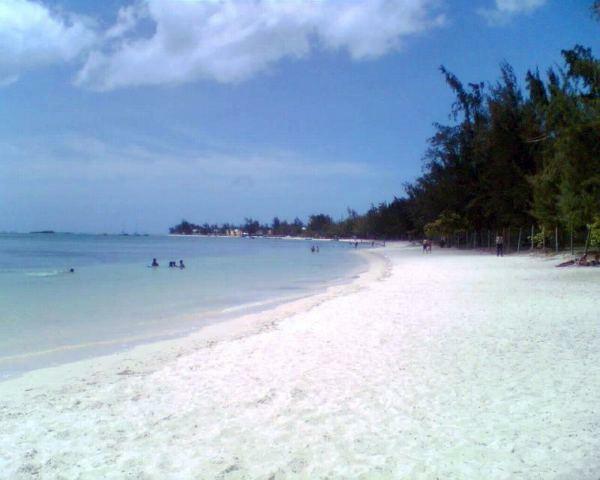 The resort area here is also named Mont Choisy. What makes this special is the gentle way the strand of white sand bends around the coast creating a bay of beautiful, turquoise water, lined with casuarina trees. These trees provide shade and a perfect backdrop for the ocean. A word about the casuarina tree: it’s nice and shady, but has a thorny pine-cone-like seed pod that can be found under the branches. They don’t feel good when you step on them. Since this beach is very accessible, it’s a favorite among both tourists and locals. And, little wonder. There’s the beach and also a nice soccer field close by. Relax, people watch, enjoy, repeat. The entrance to Mont Choisy Beach is guarded by a monument which commemorates the very first manned flight between Mauritius and Reunion Island. The competition took place on September 10, 1933 in the early days of aviation, between a Frenchman named Sutel and a Mauritian named Jean Hily. The record books do not show who won, however, Hily lost his life when attempting the second round, held October 4, 1934. Sand – white, coral based. Medium to fine grain. Some debris. Notes – gets crowded on the weekends.